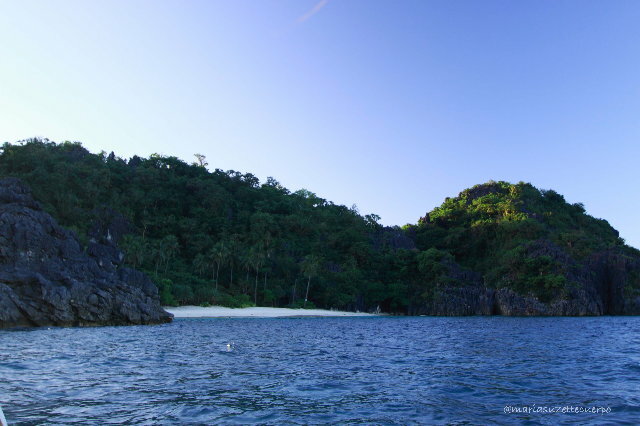 GLOBETROTTING LIFE: CAMSUR Roadtrip Day 2 - Caramoan here we come! 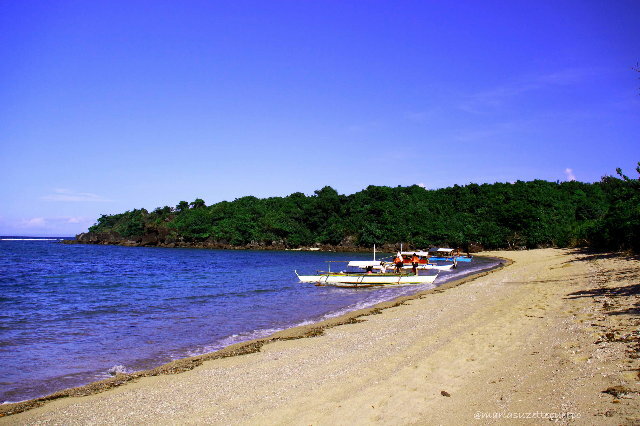 We left Naga around 7am for the 66km drive to the Port of Sabang (nope! 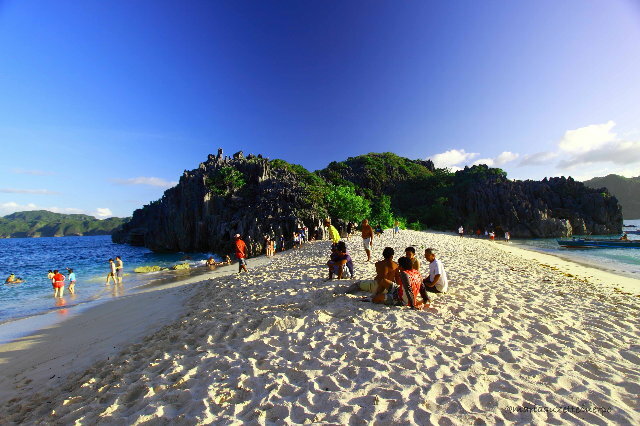 not the Sabang of Puerto Galera), the jump-off point to Caramoan. Took us about 1 1/2 hours drive. Good thing I was able to find a safe parking for Pinay and found very helpful porters. 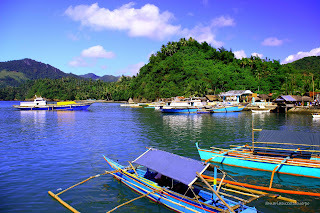 After buying our fresh fish for lunch, and after a slight delay, we were off to Guijalo Port in Caramoan for the 2-hour ride by 11am. As we arrived Guijalo Port, it was already low tide, so we have to take another little banca ride (one were you use an oar---no motor) to the port. whew...! But....our sundo made up for it. We were surprised to find out that our service car (yes, car, not tricycle which is the mode of transportation here) is a red Ford Escape!..what can you say...an SUV in the middle of nowhere! We reached West Peninsula Villas in no time. The place is in the middle of rice paddies and has only a few rooms and most were taken up by Survivor crew. Our room was impressive for such a small place. Clean, fresh sheets, aircon and cheap too (by Manila standards)...what more can you ask? 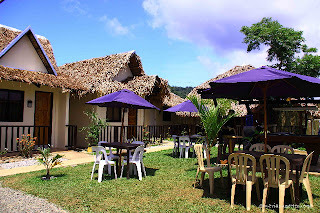 Since we arrived past 1pm, we decided to have our fresh fish cooked and took our lunch in the "resort". By 2pm, we were on our way to Bikal port by tricycle on rough roads. 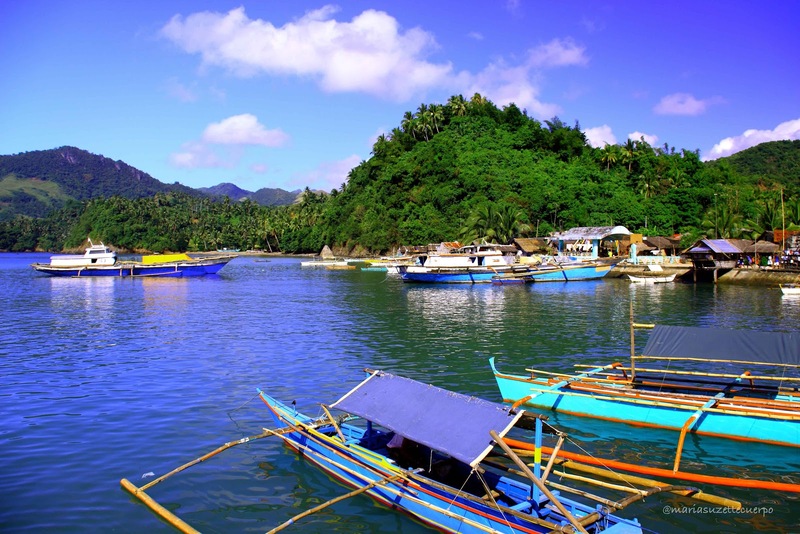 Bikal is where the bancas for hire are for island hopping. By 2:30pm we were off. 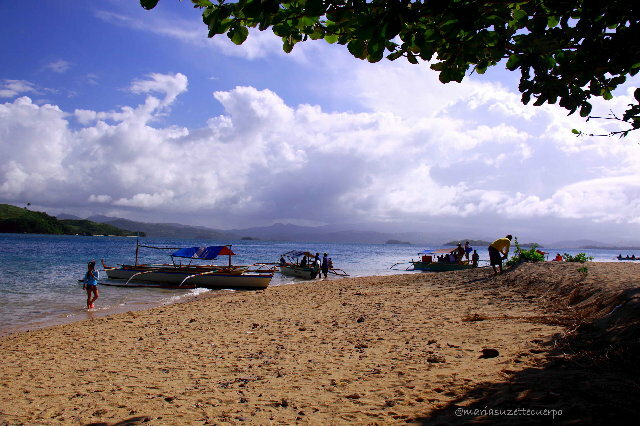 We visited 3 islands and passed by 2 more: Sabitang Laya, Lahus, Matukad and forgot the rest. 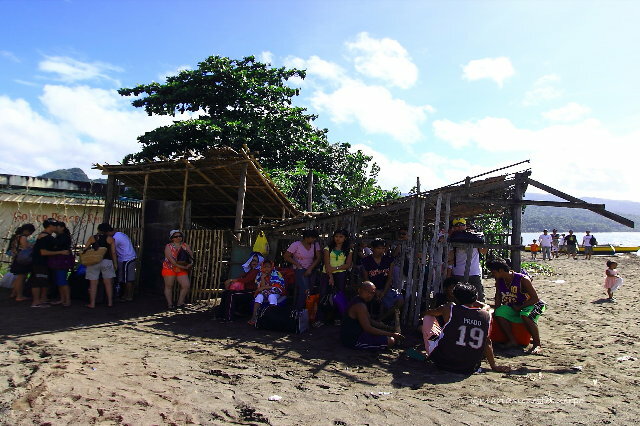 Too bad, wse could not stop at the other islands as Survivor was currently filming. We crossed the channel so we had a scariest ride...riding the rough waters as it was high tide already. 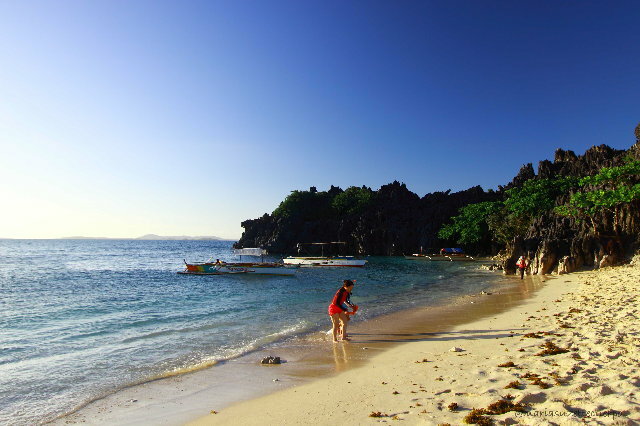 Unlike El Nido & Honda Bay, the islands in Caramoan are far apart. Suggest you choose the area where Lahus Island is. Better sand, closer islands. Wished we had more time to swim and shoot. The water was soooo inviting!